The History of Bearing Children won the 1st Annual Doire Press Irish International Poetry Chap Book Prize. In July 2012, Jacqueline Murray Loring traveled to Galway to meet Lisa Franks, owner and publisher of Doire Press, and to accept the prize which included seventy-five published books. The collection's launch was held at the Galway Library. During the trip, Loring read poetry from The History of Bearing Children with Irish poet and short story writer, Geraldine Mills, at Cyril Gray Memorial Hall in Dugort, Achill Island, County Mayo, Ireland, on July 19, 2012. History was awarded 2nd place in the 2012 New Mexico Press Women competition. 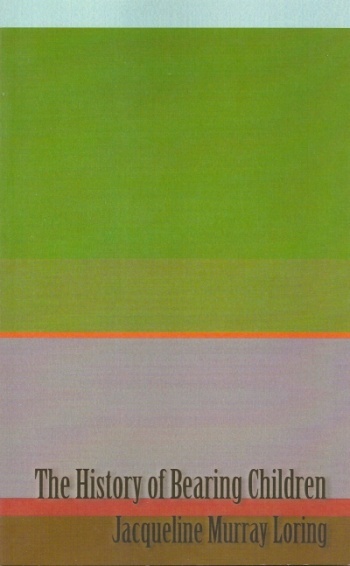 Loring's second collection is scheduled to be published in 2016. 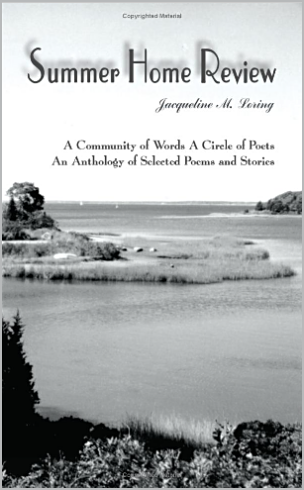 In 2013, Loring toured New England reading from The History of Bearing Children with Maine poet and Vietnam veteran Preston Hood and Connecticut poet Lisa Taylor. The History of Bearing Children is in its third printing. Loring was the 2012 winner of the Doire Press Irish International Poetry Chap Book Prize for her collection The History of Bearing Children which was published in Ireland. The book reflects a family's struggle to survive the peace after war. Back cover reviews are written by award winning poets include Daniel Tobin, Belated Heavens (Malcolm McDonald Series Selection) (Four Way Books), Awake in America: On Irish American Poetry (University of Notre Dame Press), Fred Marchant, The Looking House (Graywolf Press), Preston H. Hood, The Hallelujah of Listening (Cervena Barva Press), and Eva Bourke, Piano (Dedalus Press). The History of Bearing Children received a positive review by David Willson, editor for The VVA Veteran Magazine in October 2012 who stated, "Buy this small, powerful book and read these poems. Become more aware of how all-inclusive the butcher's bill or war is." Read the review. To promote the book, Loring, her veteran husband, Gary, and Maine poet and Vietnam veteran Preston H. Hood were interviewed by Mindy Todd, host/producer of The Point on WCAI the Cape &Islands NPR station. The History of Bearing Children is featured on Military Writers. This anthology is more than a gathering of poems and poets and writers. It is a convergence of paths, a literary labyrinth, and an honoring of the written word. Summer Home Review is the work of nurses, firemen, teachers, healers, soldiers, lawyers, singers, union members, and play writes. While it is true that the poets/writers in this anthology have all participated in the William Joiner Institute for the Study of War and Social Consequences summer writers' workshop at the University of Massachusetts, Boston, and that some of them are Vietnam veterans, the poems included here are neither 'war' poetry nor writing that is of 'workshop' quality. All the poems in Summer Home Review Volume I have an edge. Poems by Dorinda Foley Wegener may delight while poems by Gary Rafferty may infuriate or sadden, but all the work is compelling. Through the book you can trace the literary bonds of the poets and the influences of their poet-teachers like Bruce Weigl, Fred Marchant, Yusef Komunyakaa, Lady Borton, Bill Ehrhart, and Martha Collins. Like travelers in a labyrinth, the poets included in Summer Home Review have reached the center and, with its publication, are making their way back to the beginning. This book begins for you at the center. If you choose, you may walk with them. In between the lines, they have left for you sacred pieces of themselves. Enjoy the journey. "The writer believes strongly in the ability to use words to persuade the reader, to evoke emotions, to extract humor, and to entertain. Summer Home Review brings this revelation to anyone who will read and listen." Richard Berred Ouellette. 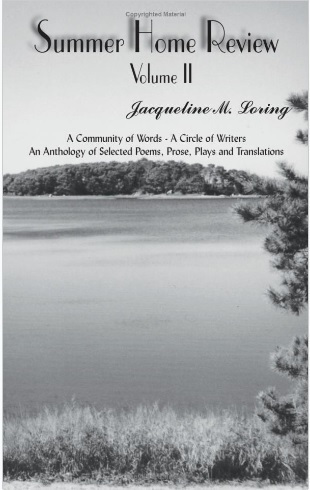 An Anthology of Selected Poems, Prose, Plays, and Translations.